Alligators on the beach. Killer whales in rivers. Mountain lions miles from the nearest mountain. 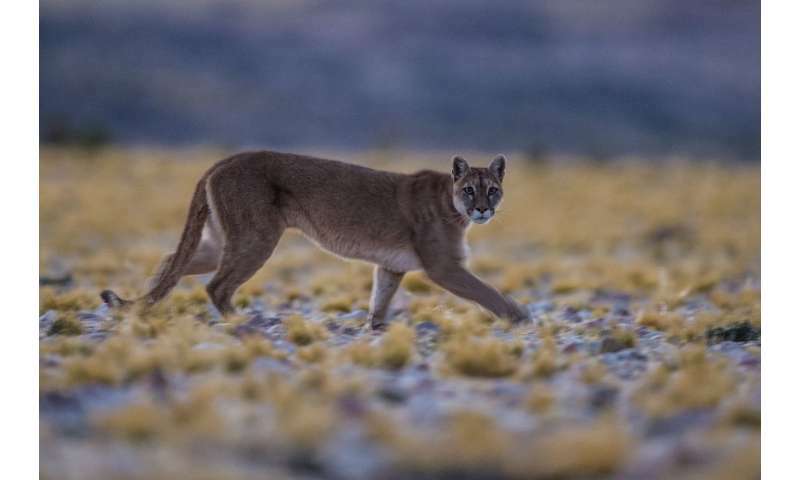 In recent years, sightings of large predators in places where conventional wisdom says they "shouldn't be" have increased, in large part because local populations, once hunted to near-extinction, are rebounding—thanks to conservation. Many observers have hypothesized that as these populations recover the predators are expanding their ranges and colonizing new habitats in search of food. A Duke University-led paper published today in the journal Current Biology suggests otherwise. It finds that, rather than venturing into new and alien habitats for the first time, alligators, sea otters and many other large predators—marine and terrestrial species alike—are re-colonizing ecosystems that used to be prime hunting grounds for them before humans decimated their populations and well before scientists started studying them. 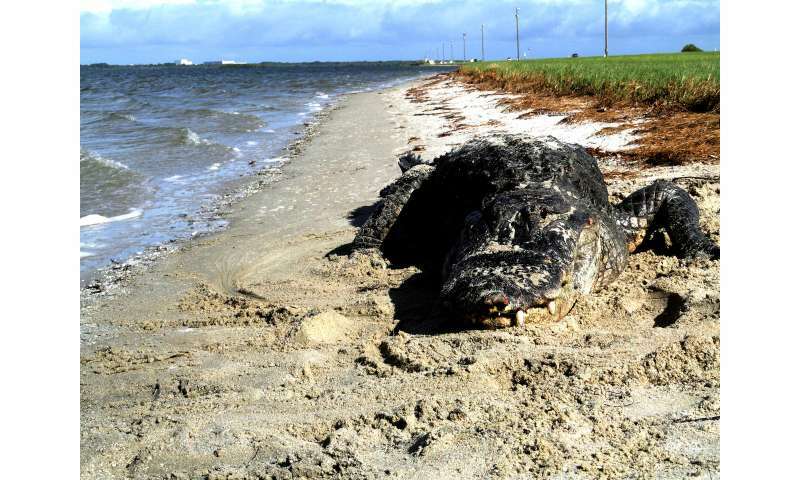 "We can no longer chock up a large alligator on a beach or coral reef as an aberrant sighting," said Brian Silliman, Rachel Carson Associate Professor of Marine Conservation Biology at Duke's Nicholas School of the Environment. "It's not an outlier or short-term blip. It's the old norm, the way it used to be before we pushed these species onto their last legs in hard-to-reach refuges. Now, they are returning." By synthesizing data from recent scientific studies and government reports, Silliman and his colleagues found that alligators, sea otters, river otters, gray whales, gray wolfs, mountain lions, orangutans and bald eagles, among other large predators, may now be as abundant or more abundant in "novel" habitats than in traditional ones. Their successful return to ecosystems and climatic zones long considered off-limits or too stressful for them upends one of the most widely held paradigms of large animal ecology, Silliman said. "The assumption, widely reinforced in both the scientific and popular media, is that these animals live where they live because they are habitat specialists. Alligators love swamps; sea otters do best in saltwater kelp forests; orangutans need undisturbed forests; marine mammals prefer polar waters. But this is based on studies and observations made while these populations were in sharp decline. Now that they are rebounding, they're surprising us by demonstrating how adaptable and cosmopolitan they really are," Silliman said. 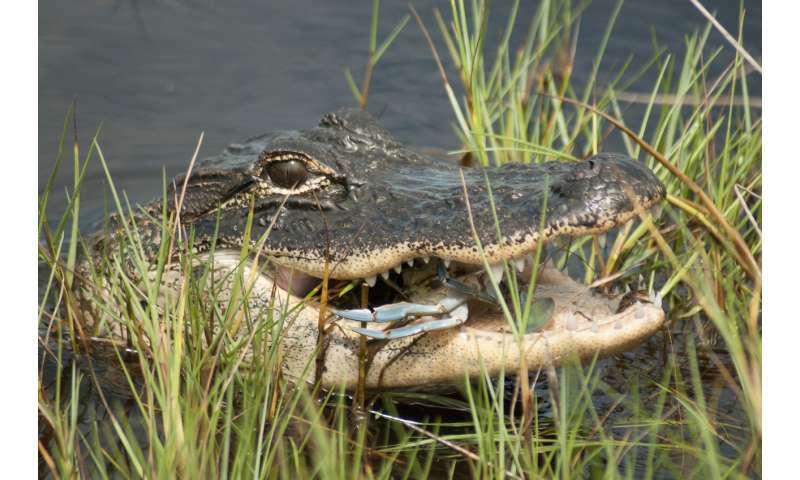 For instance, marine species such as sting rays, sharks, shrimps, horseshoe crabs and manatees now make up 90 percent of alligators' diet when they're in seagrass or mangrove ecosystems, showing that gators adapt very well to life in a saltwater habitat. The unanticipated adaptability of these returning species presents exciting new conservation opportunities, Silliman stressed. "It tells us these species can thrive in a much greater variety of habitats. Sea otters, for instance, can adapt and thrive if we introduce them into estuaries that don't have kelp forests. So even if kelp forests disappear because of climate change, the otters won't," he said. "Maybe they can even live in rivers. We will find out soon enough." As top predators return, the habitats they re-occupy also see benefits, he said. For instance, introducing sea otters to estuarine seagrass beds helps protect the beds from being smothered by epiphytic algae that feed on excess nutrient runoff from inland farms and cities. The otters do this by eating Dungeness crabs, which otherwise eat too many algae-grazing sea slugs that form the bed's front line of defense. "It would cost tens of millions of dollars to protect these beds by re-constructing upstream watersheds with proper nutrient buffers," Silliman said, "but sea otters are achieving a similar result on their own, at little or no cost to taxpayers." GET RID OF ALL PREDATORS. We will have Plenty of Meat for Food & Biofuel. Don't fall for SILLY Ecosystem Talk; Keep Atmosphere Pollution free, YES ! That's for sure is ESSENTIAL ! So in other words the polar bears will be fine? Predators of Humans have no place on this Land ! Leopard snatches and eats Toddler at Queen Elizabeth National park ! it goes to show why Gun was Constitutional Right in 1776, not to protect from fellow humans. So, hereafter, if a Missing Person Photo appears on the pamphlet, it was into the Stomach of a Predator, WoW ! This could be a good trend so long as predators retain their fear of humans. If humans try to befriend or feed these predators they can lose their fear of people, Once these animals lose their fear of people they will eventually will eat some of us and will be killed. So the kindest thing we can do to any of these predators that show up in our yards is to non-lethally attack and scare them. Judging by the comments our species is devolving. The human species is an example of when you remove an animal's predators. I welcome their return! Get rid of predators? Umm... guess who's the planet's top predator. Are you sure they belong to the same species? It's not the narcolepsy it's the cataplexy.